Great Britain Judo Heavyweight Peter Vincent is an athlete supported by the GLL Sport Foundation. 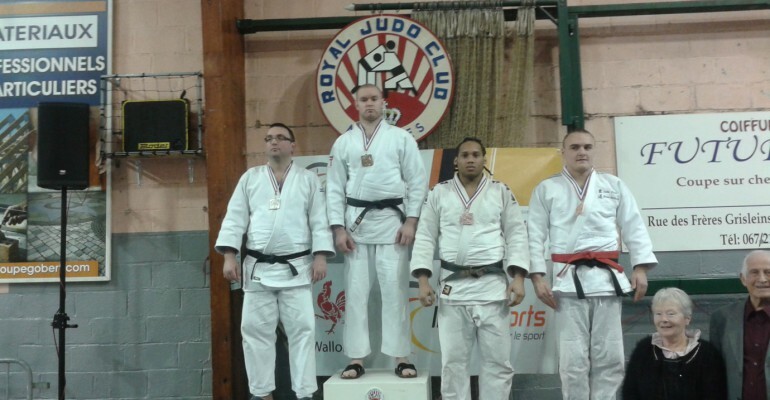 Peter travelled to Royal Judo Club, Nivelles to start his 2016 campaign off to a flying start. Competing in the over 100kg category at the quarter-final stage he defeated Patrick Chevalier of J C Athois by ippon and followed this with a close semi-final win against French Judoka Derick Theophile from JC Namurois. In the final Vincent defeated Marc Zanette of JC Souvretois to take the Gold after throwing him for a wazari score and holding him down to score ippon. We wish Peter a very successful year and look forward to supporting him once again in the 2016/17 season.